Since 2013, we have set our fees based on what we feel is fair to the client. FDA label compliance review was actually the very first service we offered, and remains among the most popular. Our fee for label review has been a flat $399 per label, with usually one to three days turnaround time for years. For the vast majority of labels, this works out well for the client, but also for us. We do not experience many hagglers or complainers. In fact, we more often have people asking us why we charge so little! This is a good question, especially as we set our fees without surveying the competitors or trying to undercut anyone. Honestly, we really did not have a clue what exactly others are charging for this service until recently. A client that chose us to review their labels shared what they found when they priced the project out with every label review company they could find with Google searching. The results were in most cases shocking, and borderline sickening in others. The insight was valuable enough that we want to share with you what was shared with us. It makes sense now why clients ask us why our prices are so low – given that we charge $399, and 10 of our competitors range from $500 to $3,500. Here are a few thoughts on what creates these discrepancies. We do not outsource or subcontract to other firms. This is a dirty little secret of the dietary supplement consulting business. We are a close knit team with very niche skills, and are very careful about who we let on the team. However, you might be surprised to know that we are subcontracted by several of our competitors for all of our services. The rates we charge them are the rates we charge you directly. Our consulting firm clients generally charge you 2-3 times that price. Ever pay $1,200 for a label review? We probably did it for your firm for $399. We won’t name names, but does you current firm have a tradeshow booth or advertise heavily? Let us quote your projects at a fair value first. Tradeshow booths, Google, and trade publication advertising is not cheap. Neither are office spaces or massive headcounts. To a large extent, we have grown by word of mouth. We invest very little in advertising, and our team works remotely. 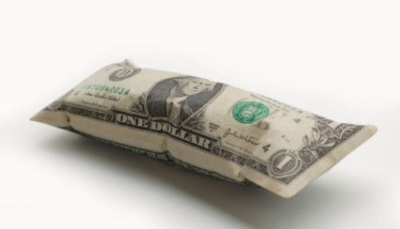 We simply do not create the overhead costs that our competitors have. We focus on making you the client satisfied, which in turn has allowed us to consistently grow year after year. We have all worked for dietary supplement companies. We know what it is like to be a start-up with a small budget. We know what it is like to receive a regular hourly wage. We trade time for money as consultants, and it is difficult to justify billing clients some of the rates we see out there. We try to balance the cost to benefit ratio to create win-win situations and clients for life. We are not lawyers! When you have legal issues, we will be the first to direct you to a legal professional that we know and trust. However, the vast majority of dietary supplement formulations, compliance, and other project types do not require a lawyer to do the work for you. And guess what, sometimes even they subcontract to consultants anyway. Whether it be label review or any other compliance service you are looking for, we hope this article will give you some context of pricing discrepancies. Of course price should not be your prime consideration. Make sure your chosen experts know what they are doing. We always appreciate the opportunity to earn your business. 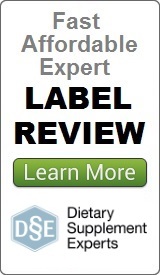 Posted in Articles and tagged dietary supplement label, label review, labels, prices.